Born into the renowned Kone family of West Africa, Malima grew up with the strong musical influence of his family’s Jeli tradition. He learned to play his first instruments (bala, jembe) by the age of three. At nine, he set out to learn the kora (the 21-string African harp on a diatonic scale), performing with his father and his uncles. Early in his childhood, Salifou was inspired by the example of his older cousins who were touring the world with Les Petits chanteurs au poing levé de la révolution, a children’s music ensemble, created by Thomas Sankara, the former President of Burkina Faso. Malima found a mentor in his older cousin Kalifa Kone who was a member of the ensemble and who shared with him much of his talent and his knowledge of nine modern and traditional instruments. At twelve, Malima joined another youth ensemble, La Maison des jeunes du Burkina. After picking up guitar, keyboard, and drums, Malima was composing original music and lyrics by age fourteen. Much of his childhood was spent touring throughout Africa and Europe, which gave him an early international experience of life, culture, and music. In 1995, at age eleven, he was selected as the youthful face of the SIAO, the Salon International de l’Artisanat de Ouagadougou, appearing on all television commercials and other promotions for its international art and music festival. * Many of Malima’s lyrics are based on his formative life experiences. Stories of orphans, street children, and family feuds fill his songs, along with messages of love, hope, equality, liberty, compassion, and universal solidarity. In keeping with his global perspective, Malima sings in five language English, French, and the African languages Bwamu, Bamana/Jula, and Moore. As a guardian of his family’s cultural heritage, Malima has drawn from his lifetime of musical study to preserve the sound of its Jeli traditions. After spending his youth developing his skills, Malima began focusing on his own sound. 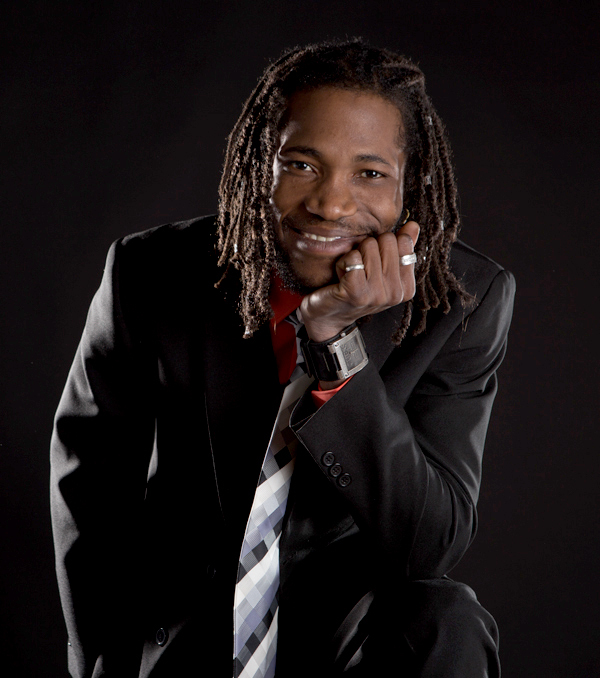 He also draws inspiration from: Alpha Blondy, Richard Bona, Ismael Isaac, Lucky Dube, and Ismael Lo, among others. 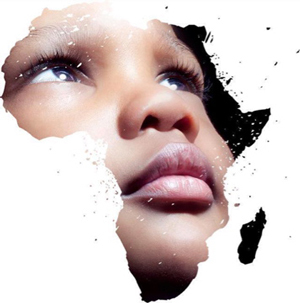 The result is an enchanting blend of African reggae, afro-soul, Acoustic jazz. He is the creator of the New Jeli style. In 2011 Malima launched his music career in the U.S. with his first single “Dambe,” which means “the end” in the Bambara/Jula language, performing as a solo acoustic guitar artist. 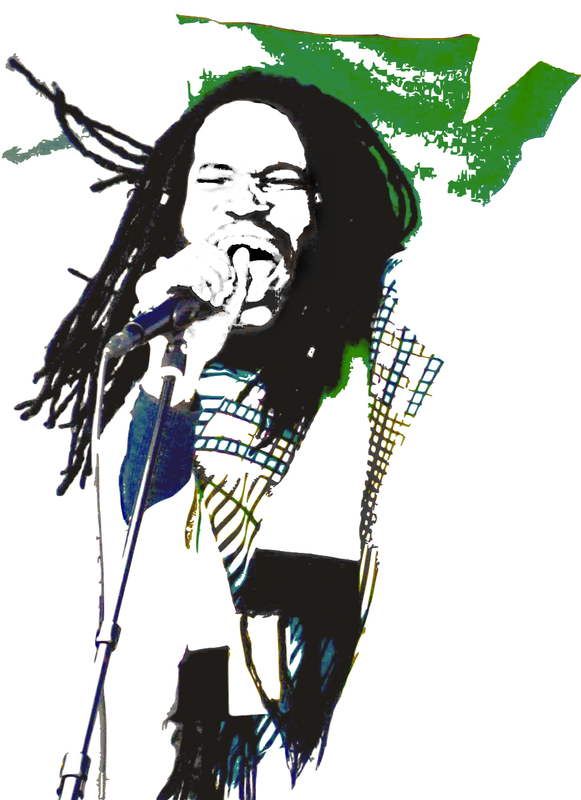 His strong vocals and raw style landed him several highly acclaimed performances including opening for Alpha Blondy at the Independent (San Francisco 2007); and for Marianne Aya Omac and Joan Baez at the Catalyst (Santa Cruz, California, 2012). Malima and his band, Wemewo, which means “From the Heart” in his native Bwamu language, further enriched his sound by incorporating traditional African percussion, kora and bala, with Western acoustic guitar, flutes, horn section, bass, drums, and keyboard. This fusion has attracted fans and audiences across several genres. Wemewo has played for packed houses at Yoshi’s (Oakland), The Independent (San Francisco), the Rio Theatre (Santa Cruz, Californa), Whisky A-Go-Go (Los Angeles), and at the Esalen Zen Institute in Big Sur, California. Malima has also played at a private festival by invitation in Canisy, in Normandy (France 2009); he performed in Paris (France, also in 2009), in Lausanne (Switzerland 2010), and Bamako (Mali 2006). In 2005, Malima had returned home to Ouagadougou, Burkina Faso to perform for the opening ceremonies at FESPACO (Festival Panafricain du Cinéma de Ouagadougou), the biggest diaspora African film festival in the world. He was invited to return to his native country in 2017 to perform live at, “Le Marley d’or,” a celebration of the life of Bob Marley beamed on all Burkina Faso television channels. Malima is putting the last touches on his new single, “Yere-Yini’’ which means in Bambara/Jula: “to go easy on oneself.” This single will be followed by his debut album, “This Is The Time.” He stays rooted in his Jeli traditions by maintaining his connection with his family in Burkina Faso. Every year, he spends several months there where he finds inspiration in family, friends, and sometimes even in strangers. He believes that through his music his message can transcend geographical and cultural barriers to inspire hope, unity, and a greater consciousness around the world. *Malima Salifou Kone family background and music tradition was documented in the film Great Great Great Grandparents’ Music, an intimate glimpse into the lives of a long lineage of musicians, by Taale Laafi Rosellini. The film has received world-wide recognition including the Prix Spécial at FESPACO (Le Festival Panafricain du Cinéma de Ouagadougou), the biggest African diaspora film festival in the world. It also received the Prix Spécial awarded by Ousmane Sembene, an internationally acclaimed author and filmmaker. In addition, the film obtained a nomination for Best Documentary at the Los Angeles Pan-African Film Festival (the biggest diaspora African film festival in the United States) and prizes from the National Museum of African Art (Smithsonian Institution). To learn more about the film visit Africanfamily.org. Malima Kone est un chanteur-compositeur et multi-intrumentiste du Burkina Faso, en Afrique de l’ouest. D’une famille originaire du Mali, Malima est héritier de la tradition des Jelis ou griots de l’ethnie Bwaba, tradition qui trouve ses origines dans l’Empire Mandingue du Mali (1230-1600). Malima est né Salifou Kone à Ouagadougou, Burkina Faso, le 31 Octobre 1984. A l’âge de cinq ans, son grand-père paternel, Wamia Kone, lui a donné le nom “Tayourou Malima” qui signifie: “C’est ainsi”. Malima a grandi sous l’influence musicale de cet entourage de griots. Ayant appris à jouer de ses premiers instruments (bala, djembe) dès l’âge de trois ans, il s’est mis à la kora (la harpe africaine à vingt-une cordes) à neuf ans en se produisant avec son père et ses oncles. L’exemple de ses cousins plus âgés qui se produisaient mondialement comme membres du choeur “Les Petits chanteurs au poing levé de la révolution” a très tôt inspiré Salifou. (“Les Petits chanteurs…” sont un ensemble musical créé par Thomas Sankara, ancien président du Burkina Faso.) Son cousin Kalifa, qui est membre de cet ensemble, lui sert alors de mentor, partageant avec lui son talent et sa maîtrisee de neuf instruments modernes et traditionels. A douze ans, Salifou a lui-même rejoint un autre groupe d’enfants et de jeunes, “La Maison des jeunes du Burkina”. Ayant par la suite acquis la maîtrise de la guitare, du clavier, et de plusieurs instruments de percussion, Malima composait de la musique originale,- et jusqu’aux paroles – à l’âge de quatorze ans. Malima a passé une grosse partie de son enfance en tournée à travers l’Afrique et l’Europe. En 1995, à l’âge de onze ans il était choisi comme jeune visage du SIAO, le “Salon international de l’artisanat de Ouagadougou”. Il paraissait ainsi dans toutes publicités et toutes actions promotionnelles liées à ce festival international d’arts et de musique. * Ces expériences lui ont fourni une compréhension globale de la vie et de la culture autant que de la musique. Les paroles de ses chansons sont souvent basées sur les expériences de son enfance. Aujourd’hui les expériences de sa jeunesse continuent de former sa perception du monde. C’est pour cela que ses chansons sont remplies d’histoires d’orphelins et d’enfants des rues, de récits de querelles familiales autant que de messages réclamant l’égalité, la liberté, la compassion, et l’unité des hommes. Comme il convient à cette perspective d’universalité, Malima chante en cinq langues: l’Anglais, le Français, les langues africaines Bwamu, Bamana/ Jula et le Moore (ou la langue des Mossi). Dépositaire du patrimone culturel de la célèbre famille Kone d’Afrique occidentale, Malima a mis son art au service de la préservation de la musique traditionnelle des Jeli. Après avoir passé sa jeunesse à cultiver ses compétences techniques, Malima s’est mis â la tâche pour créer un son qui lui soit propre. Il s’est inspiré pour se faire entre autres, d’Ismael Isaac, Lucky Dube, Alpha Blondy, Richard Bona et aussi d’Ismael Lo. Le produit final est une fusion insolite de reggae africaine, d’Afro-soul, et d’acoustique Jazz. En 2011, Malima lance sa carrière musicale aux Etats-Unis avec son premier single, “Dambe,” qui signifie “la fin” en Bambara/Jula, se produisant à cette occasion comme soliste acoustique, à la guitare. La force de sa voix et son style rempli d’âpreté lui avaient auparavant permis de décrocher plusieurs engagements pivots, ouvrant le concert d’Alpha Blondy à San Francisco en 2007 et celui de Marianne Aya Omac – avec Joan Baez – au Catalyste à Santa Cruz (Californie) en 2012. Puis, Malima a formé son propre groupe, Wemewo, “Droit du cœur” en ajoutant aux instruments africains traditionnels comme la kora, d’autres instruments de percussion, la guitare, la contrebasse, la batterie, des flûtes variées et une section de cuivres. Cette fusion lui a valu d’attirer des fans venant d’horizons les plus variés et de toucher des publics normalement cloisonnés par leur attachement à des genres musicaux différents. Malima et Wemewo ont fait salle comble à Yoshi’s, à Oakland en Californie, au The Independent à San Francisco, au Rio Theater de Santa Cruz, au Whisky-à-Go-Go de Los Angeles, et même à l’Institut Esalen Zen de Big Sur (Californie). Sur le plan international, Malima s’est aussi produit dans le cadre d’un grand festival privé par invitation, au Château de Canisy, en Normandie, ainsi qu’à Paris en 2009, ainsi qu’à Lausanne en Swisse, la même année, et avant cela, à Bamako, au Mali en 2006. Malima était retourné chez lui à Ouagadougou au Burkina Faso en 2005 pour s’y produire aux cérémonies d’ouverture du Festival Panafricain du Cinéma de Ouagadougou, le plus grand festival de cinéma de la diaspora africaine au monde. En 2017, on l’invitait à retourner dans son pays d’origine pour s’y produire au “Marley d’or”, une célébration musicale de la vie de Bob Marley, retransmise par toutes les chaînes de télévision du pays. Aujourd’hui, Malima met la dernière main à son nouveau single “Yere-Yini”, “Sois indulgent vis-à-vis de toi-même”. Son premier album “This is the Time” suivra. Malima continue de retourner périodiquement vers ses racines africaines au Burkina Faso, renouvellant ainsi son inspiration parmi sa famille et ses amis, et même avec des musiciens de rencontre. Malima croit profondément que sa musique, son message d’espoir, d’unité, et son appel à une prise de conscience universelle, transcendent autant les barrières géographiques que culturelles. *Le film de Taale Laafi Roselini; “Great Great Great Grandparents’ Music” documente les antécédents familiaux de Malima ainsi que leur tradition musicale. Un regard intime jetté sur la vie d’une longue lignée de musiciens, le film a vite bénéficié d’une renommée mondiale. Il a reçu entre autres, le Prix spécial du FESPACO ( Festival Panafricain du Cinéma de Ouagadougou), le plus grand festival de film de la diaspora africaine au monde, ainsi que le Prix Spécial attribué par Ousmane Sembène, auteur et réalisateur de cinéma mondialement reconnu. De plus, ce film a reçu une nomination comme meilleur documentaire au Los Angeles Pan-African Film Festival, le plus important festival américain du film de la diaspora africaine, ainsi qu’une grande inauguration au National Museum of African Art à Washington D. C. (Pour en savoir plus sur le film, visitez le site www.africanfamily.org.